Myanmar leader Aung San Suu Kyi said Wednesday her country, having been "practically bypassed" by the IT-based Third Industrial Revolution that began decades ago, is making "quantum leaps" to catch up amid the rapid advancement of transformative technologies driving the Fourth Industrial Revolution. "We have been forced to plunge straight into the fourth one," Suu Kyi said in an address on the topic at the World Economic Forum on ASEAN, a three-day event that began Tuesday in Vietnam's capital. She added that not just "leap-frogging" but "quantum leaps are absolutely necessary for countries like us which have been left behind by events over the past few decades." As an example of such leaps, Suu Kyi noted that the great majority of Myanmar's people now have cheap, quick and easy access to broadband Internet through their cellphones. "Five years ago, the price of cellphones in my country was about $1,500. Now it is dropped to about $1.5 and access to broadband has leaped from a little under 1 percent to 105 percent," she said. "This has been so quick and so widespread that we think that we have not been behind in the Fourth Industrial Revolution." The Fourth Industrial Revolution is characterized by proliferation of IT, ubiquitous and mobile Internet, and the explosion of technologies such as artificial intelligence and advanced robotics, which are transforming social, economic and political systems. "One quantum leap leads to another," Suu Kyi said, pointing out that rapidly expanded broadband Internet access has enabled Myanmar to progress in "unexpected directions," such as in the commerce and banking sectors. For this success, Suu Kyi credited the government's policy of opening the market to healthy competition. "If we are going to be afraid of competition, we will not be able to catch up with all those countries...which are well ahead of us in the Fourth Industrial Revolution journey," she said. 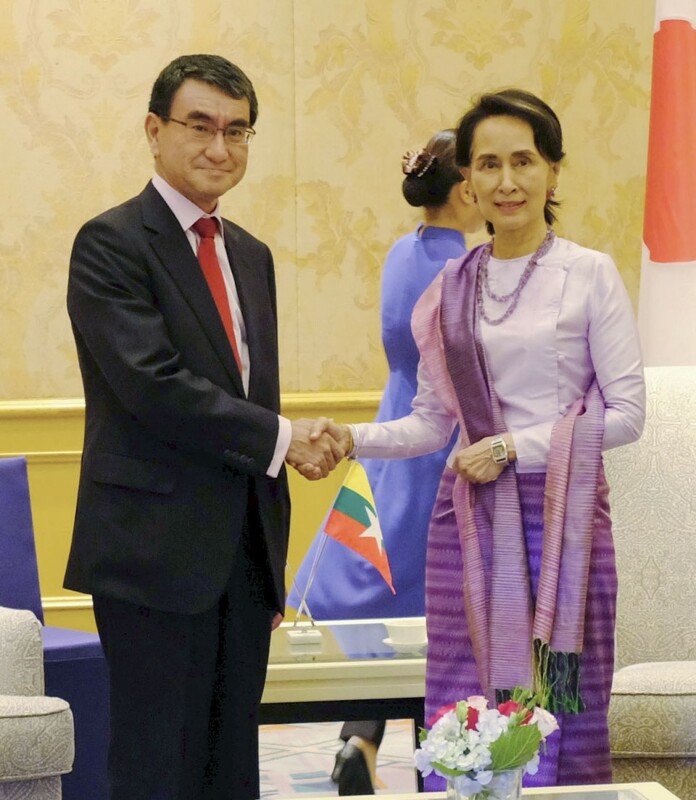 The Myanmar leader stressed, however, that the "human factor" is important. "We believe that all our people will have a part to play in making the Fourth Industrial Revolution a boon for humanity, rather than a curse," she said. In an address at the same forum,, Indonesian President Joko Widodo, said, "This Fourth Industrial Revolution will create more jobs than it destroys -- not only in the long term but also in the short term." "This Fourth Industrial Revolution will not increase inequality but will instead decrease inequality," he predicted.